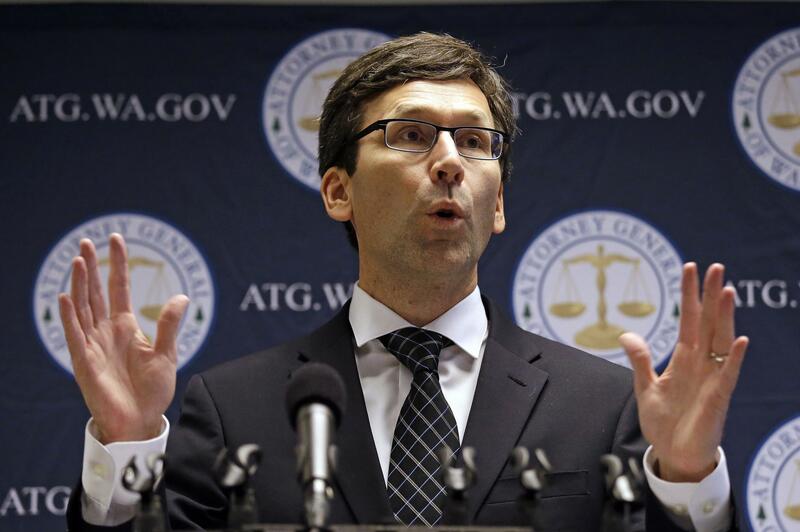 Thu., June 7, 2018, 10:17 a.m.
Google stopped accepting political ads in Washington state on Thursday, just days after state Attorney General Bob Ferguson sued the company, along with Facebook, saying the tech firms are not obeying state law on political-ad transparency. The company will reject ads related to ballot measures and state and local elections, according to an AdWords policy update posted on Wednesday. Google will send notifications to affected advertisers, it said. “We take transparency and disclosure of political ads very seriously which is why we have decided to pause state and local election ads in Washington, starting June 7, while we assess the amended campaign disclosure law and ensure that our systems are built to comply with the new requirements,” Google spokeswoman Alex Krasov said in an emailed statement. HB 2938, which altered a host of campaign-finance reporting requirements and enforcement procedures, was signed into law by Gov. Jay Inslee in March and went into effect Thursday. In issuing regulations related to that bill, the state Public Disclosure Commission passed an emergency rule that clarified that digital ad companies like Google are subject to state law requiring them to maintain publicly available information about political ads, just like television stations and other media. The two lawsuits, filed in King County Superior Court, say the companies have for years been in violation of the law, requiring them to keep detailed records about who is paying for online political ads on their platforms. Google’s decision does not impact candidates running for federal office, said Andrew Bell, spokesman for Dino Rossi, a Republican running for the 8th District House seat. Bell cited an interpretation of the decision by the campaign’s digital consultant. Candidates in federal races report political-ad spending to the Federal Elections Commission rather than the state Public Disclosure Commission, he said. Published: June 7, 2018, 10:17 a.m.